Now What!!! Sell Signal in daily chart as per 5 EMA strategy. 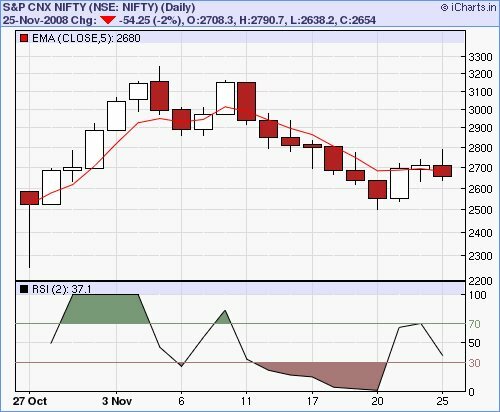 Now As per Nifty daily Chart… Nifty close above 2680 will invoke buy signal which is less expected. So any weakness in market will induce further selling pressure in the market. And Tommorow is a sure -ve day. And nifty close below 2650 will surely confirm you that we are moving down with a bang.